After a one-week break, the PBA50 Tour heads west for the PBA50 Northern California Classic presented by MOTIV May 28-31 at Harvest Park Bowl in Brentwood, Calif. The sixth stop for players 50 & over and seventh overall of the season will be covered live from start to finish on PBA’s online bowling channel Xtra Frame. As the PBA50 Tour season reaches the halfway mark, Brian LeClair (left) of Delmar, N.Y., tops the PBA50 Player of the Year race with the help of his two wins which came in the Pasco County Florida Open and Johnny Petraglia BVL Open. He is the season’s only multiple winner. LeClair holds a commanding lead over last week’s PBA50 Miller Lite Players Championship winner Bryan Goebel (right) of Shawnee, Kan., in second. 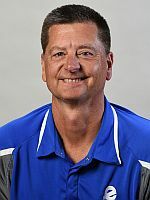 Goebel, who was inducted into the PBA Hall of Fame in February of this year, won his first PBA50 Tour title in the season’s first major by defeating Parker Bohn III, 264-230, in the title match. In last season’s Noel Vazquez (left), Northern California Classic of Sacramento, Calif., won his first PBA50 Tour title by beating reigning PBA50 Player of the Year Pete Weber, 255-224, in the title match. 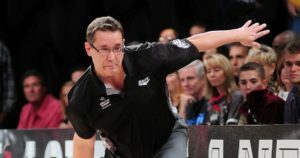 Following the Northern California Classic, the PBA50 Tour heads to Las Vegas for the USBC Super Senior Classic (for players 60 and over) June 1-4; USBC Senior Masters, June 4-11, both at Sam’s Town, and the Suncoast Senior U.S. Open presented by Storm at the Suncoast Bowling Center June 11-16. 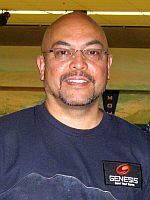 In addition to Player of the Year honors, the players who compete on PBA’s tour for players 50 and over are battling to become one of the top eight players from the points list to advance to the PBA50 segment of the PBA Challenge which will be held in conjunction with the GEICO PBA World Series of Bowling IX set for Nov. 7-19 in Reno, Nev.
Northern California Classic competition begins with the first of two eight-game qualifying rounds on Monday, May 29 at 8 a.m. PT to be followed by the second round on Tuesday, May 30. After a cashers round on Wednesday, May 31, the top 24 players will advance to match play which will determine the top five for the stepladder finals schedule for 6:30 p.m. The practice session is scheduled from 9 a.m. – Noon on Sunday, May 28 with pro-am squads scheduled for 1, 3 and 7 p.m. For admission and pro-am entry information call Harvest Park Bowl at (925) 516-1221. Pro-am squads – 1, 3, 7 p.m.